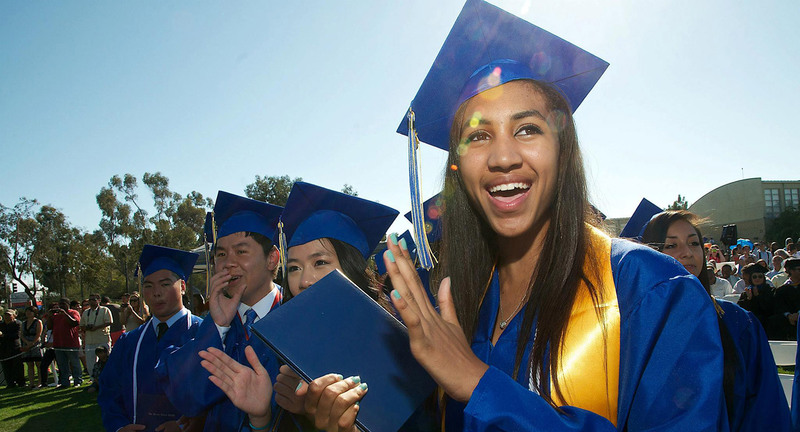 Preuss graduates are consistently accepted to four-year colleges and universities at a rate of more than 90 percent. For Daniel Million, learning recently that he was one of two seniors at The Preuss School UCSD to receive the prestigious Gates Millennium Scholarship was more than a “huge relief,” it also had special significance. Just three years earlier, his sister Miriam received the same scholarship during her senior year at Preuss. 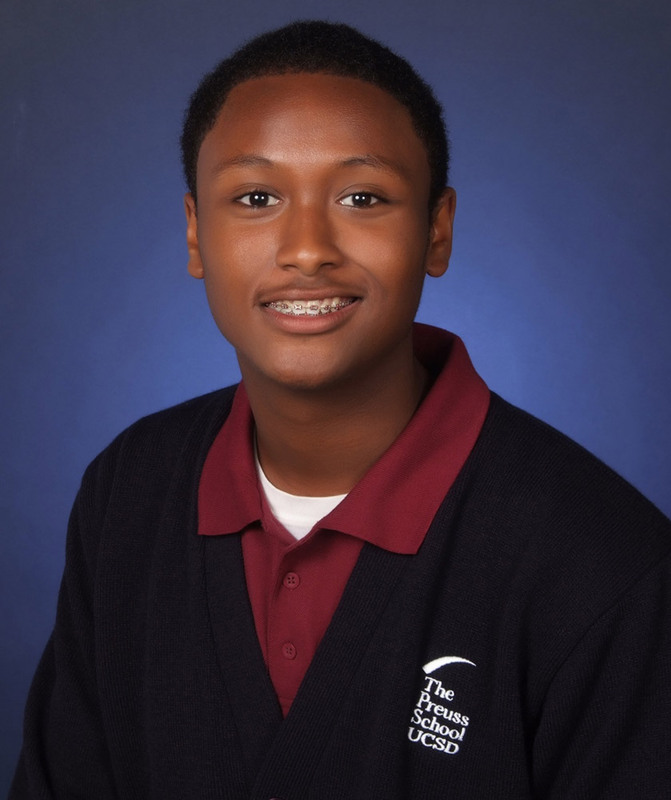 Being awarded the scholarships meant their family would not have to worry about how to pay for college as Gates Millennium Scholars have all college costs covered through graduation. Years earlier, Daniel and Miriam’s father had fled the violence and instability of political unrest in Ethiopia, determined to reach America. In the United States, he created a new life for his family, establishing education as a central value. As students at Preuss, a charter middle and high school for low income, highly motivated students who strive to become the first in their families to graduate from college, both of the Millions excelled. Preuss students have a strong track record of being named Gates Millennium Scholars. Daniel Million and his classmate Leslie Chavez are the 27th and 28th Preuss seniors to receive the award over the last eight years. Each year, only 1,000 students nationwide are selected to become scholars. That effort and determination has paid off for the Class of 2014. Seventy-nine of the 86 members of the class—92 percent—have been accepted to a four-year college or university. Like Million and Chavez, who is attending Columbia University, several students will attend private colleges including Northwestern University, Mills College and Trinity College. Thirty-five students plan to attend University of California schools and 26 students will attend California State University schools. This year’s graduating class has also garnered more than $1.6 million in award money. Nineteen students will attend UC San Diego as Chancellor’s Associates Scholars, which provides each student $10,000 a year for four years at the university. When combined with the University of California’s Blue + Gold Opportunity plan—which covers fees for California residents whose families earn less than $80,000 a year and qualify for financial aid—the scholarships effectively provide a full-ride to UC San Diego. Other Preuss students have received scholarships from numerous businesses, organizations and foundations including A Bridge for Kids, the Rotary Club of La Jolla, The Patricia and Christopher Weil Family Foundation, the San Diego Foundation, the La Jolla Golden Triangle Rotary Club, the La Jolla Kiwanis, Coca Cola Scholars Foundation, Exchange Club of San Diego, LPL Financial and the California Retired Teachers Association. Established 15 years ago, The Preuss School has become known as one of the best high schools in the nation. Newsweek named Preuss the top transformative school in the nation for three consecutive years, citing the school’s ability to lead the way in getting low-income and first-generation students ready for college and beyond. The school also has been consistently ranked as one of America’s best high schools by Newsweek, The Washington Post and U.S. News & World Report, among others. As part of the school’s model, students take advantage of a longer school day and school year, a key practice that is now gaining traction nationally as part of the solution to the country’s educational challenges. The Preuss graduation will take place at 4 p.m., on Thursday, June 26 at the school’s Manchester Field. For more information on The Preuss School UCSD, visit preuss.ucsd.edu.